The violent incidents across Turkey, including crowds chanting anti-government slogans in Istanbul’s Taksim Square, have been dubbed “The Turkish Spring” by some international media. At first glance it is perhaps not surprising, but the events in the Arab world two years ago do not reflect today’s situation in Turkey. There are similarities though. Like the Arab Spring, Turks have used social media to organise their protests in the heart of the city demanding the resignation of the government. They accused their leader of being authoritarian. Just like Egypt and Libya, security forces were not shy in wielding their might against civilian protesters. Political leaders stood firm and even the prime minister labelled demonstrators a “mob” like former Arab dictators did. But does that mean “The Turkish Spring” has been launched? It is not that simple. Firstly despite all this, Taksim Square is not Tahrir Square and Turkey is not an Arab country which has been ruled by a dictatorial one-man regime for the last three or four decades. Turkey is not in a political winter like those Arab countries. Despite all its problems, Turkey has a working democracy. Governments come and go via national elections. The military guardianship of the regime has been pushed back by this government. Minority rights have been improved again by this government. State TV has started to broadcast in Kurdish. And the administration has begun a negotiation process with Abdullah Ocalan and Kurdish armed militias. 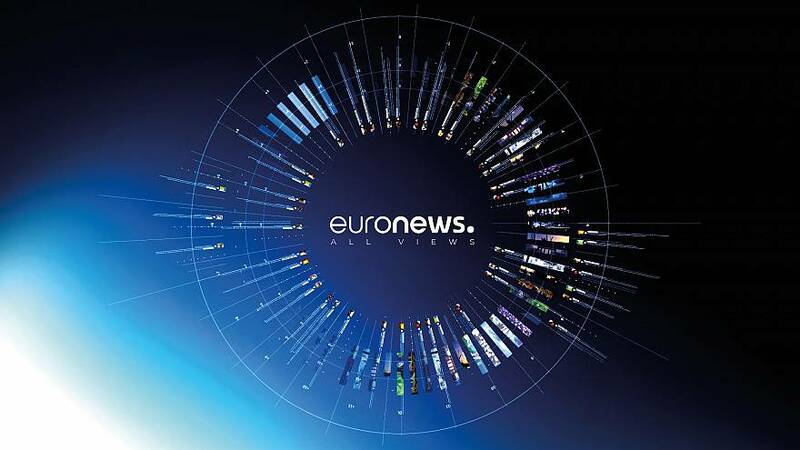 Turkey is adopting the European Union norms. That said, there are still problems with freedom of the press arising from the structural relations of the media bosses with the government. Journalists are legally and economically defenceless before their bosses and against political leadership. Governments, including the current one are using this situation to benefit their own interests. The structure of political parties, the lack of democracy within those parties and the seemingly limitless power of the party leaders make it difficult for Turkey to have a more representative and responsive government. Weakness of local democracy and individuals’ lack of democratic thinking are other unseen reasons behind these latest incidents in Turkey. The start of the project in Taksim came so quickly that nobody had the opportunity to voice their opposition a couple of months ago. It affected the traffic at the heart of Istanbul and ruined many small businesses. The destruction of the historic Emek Theathre, new regulations about sale of alcholic drinks, the government’s attitude towards celebrating national festivals and many other controversial unilateral decisions have provoked tens of thousands in Turkey. 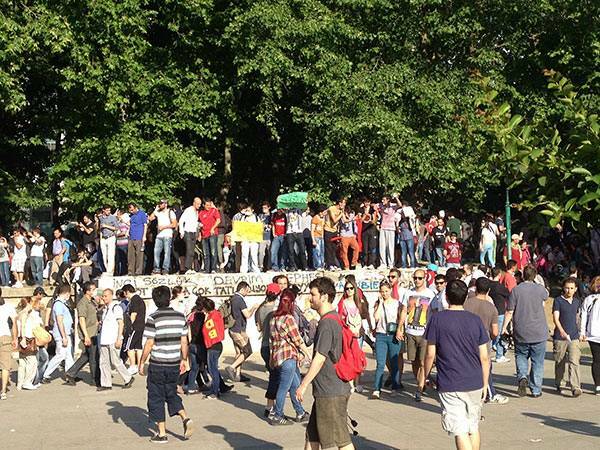 Gezi Park became a point of resistance and the demonstrations spread nationwide. The majority of people I talked to in Taksim Square are not simply looking for a revolution and a quick resignation of the government. They want to be heard, be cared about and be respected. The prime minister’s harsh words against his opponents are hurting the dignity of the “others.” Who were in Taksim Square? Middle class, well educated people, university students, republicans, those who were against the talks with Ocalan, supporters of Ocalan, Kurds, environmentalists, liberals who are concerned about authoritarian moves of the government, some members of illegal organizations, girls with headscarves, girls without headscarves, artists and scholars. The list goes on. 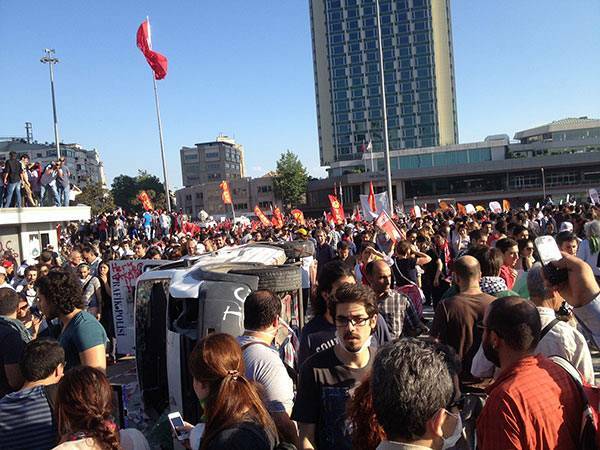 People from each level of society and from each political group were in Taksim. There were even people who voted for the government. There are similarities with Arab protests of course, but this is no Turkish Spring. Because there are still opposition TV stations and newspapers, opposition parties, NGOs, private companies issuing warnings to the government, democratic institutions and channels to challenge the government. Elections will take place, and if this governments gets fewer votes, it will go. Despite its problems, Turkey has an established, working democracy. Unlike Arab Spring countries there are government and state officials admitting their faults. And even though it was not very convincing, Istanbul’s governor Avni Mutlu, the man ultimately in charge of the city’s police,revealed his unease on his Twitter account today, writing “I hope no one has even a fingernail hurt.” Turkey has a potential to find a way out. And even though some circles have called the army to “the mission” Turkish armed forces have not become involved and will not. In short, this is not The Turkish Spring and it will not be. But what has been happening for the last week and right now is big and will have political consequences in the future.